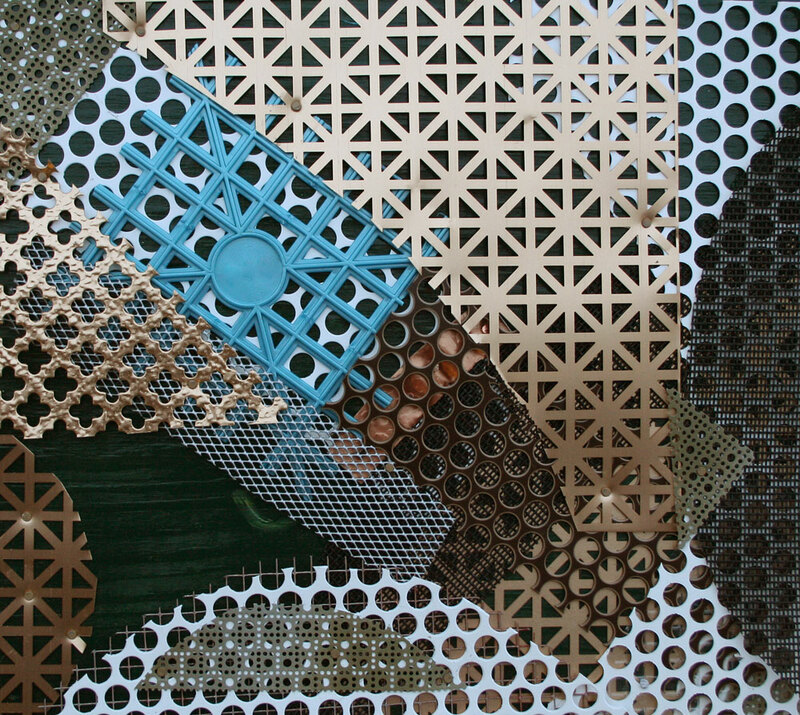 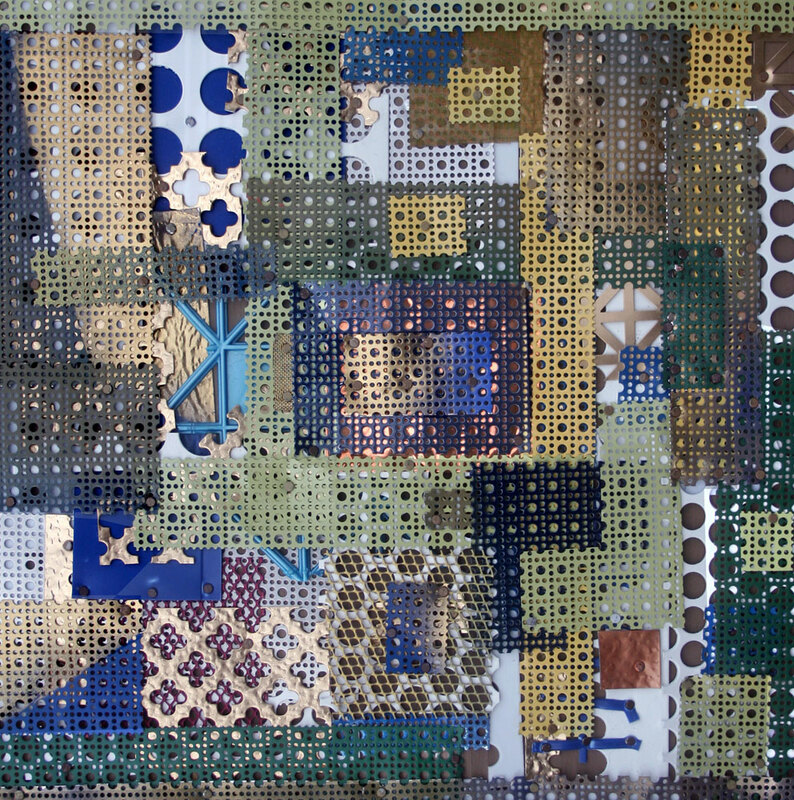 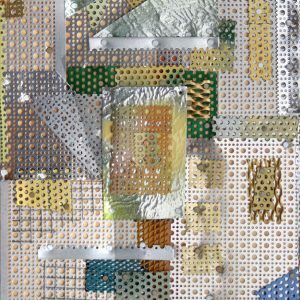 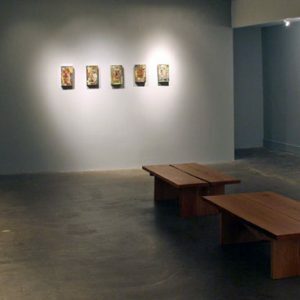 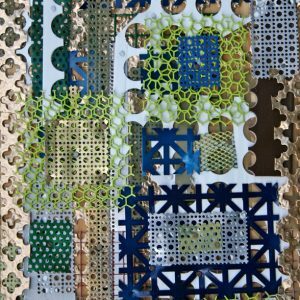 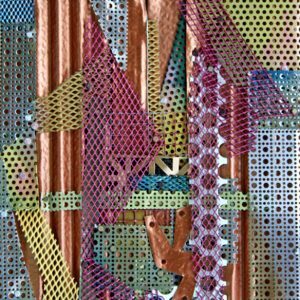 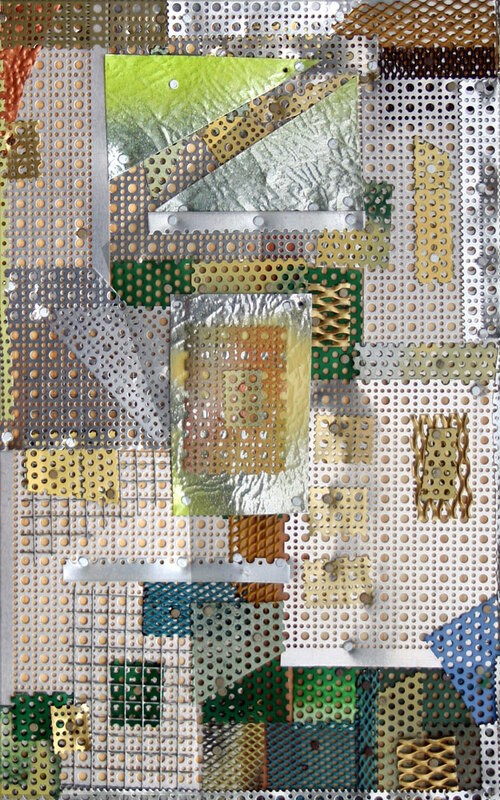 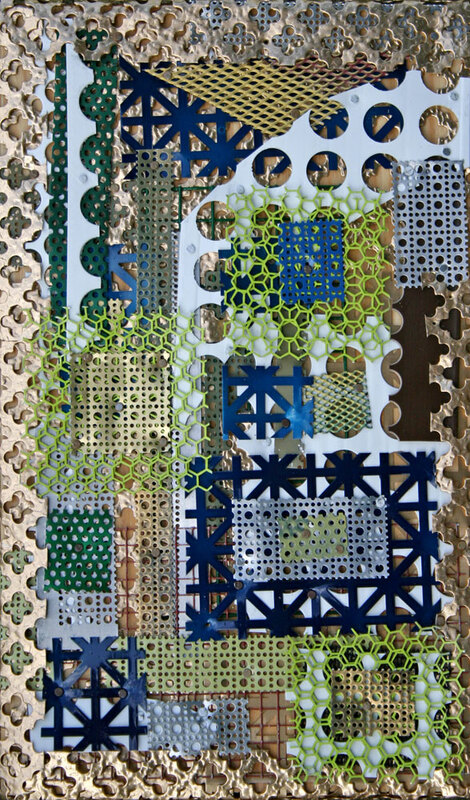 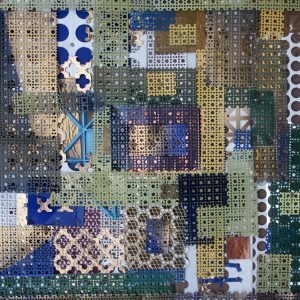 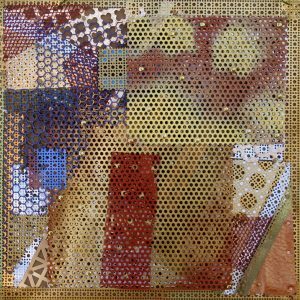 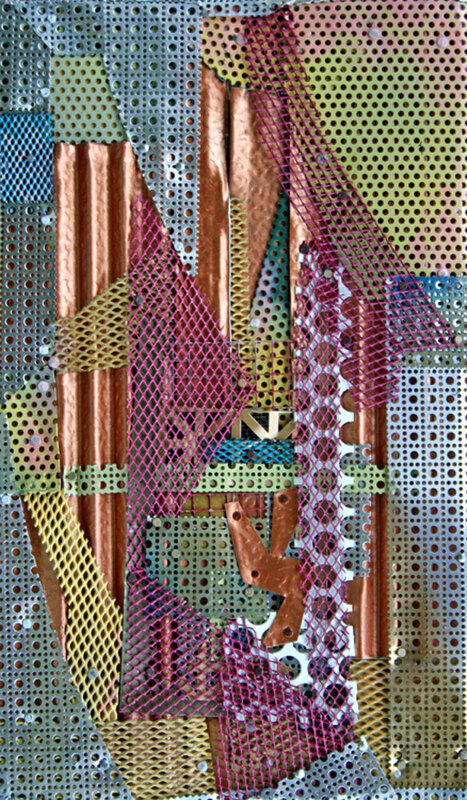 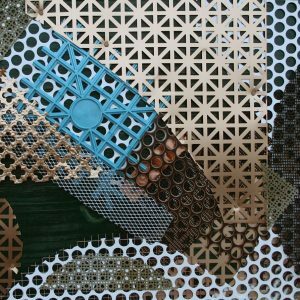 Each of these works is layered as a collage would be, but is constructed by nailing perforated metals and other materials onto wooden blocks. 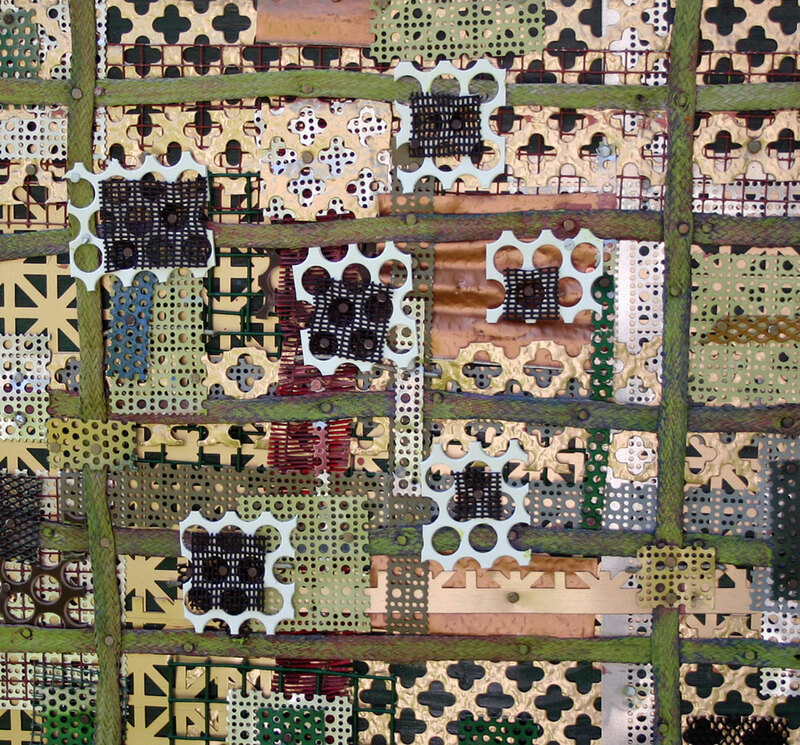 Inspiration came from improvisational quilt patterns, especially those termed Afro-traditional by some scholars. 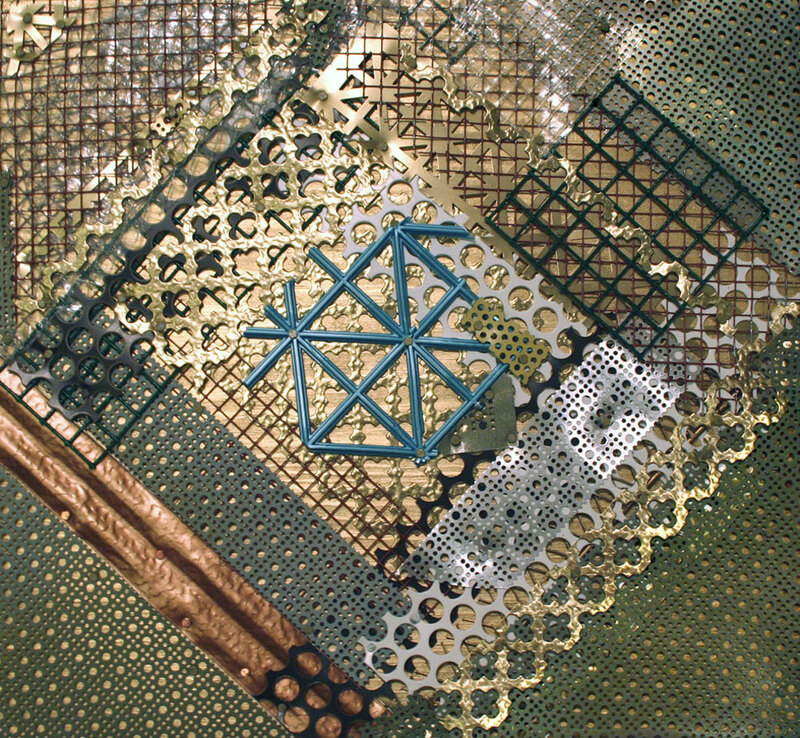 The patterns on each piece developed in part by scaling and recursion, as in fractal geometry. 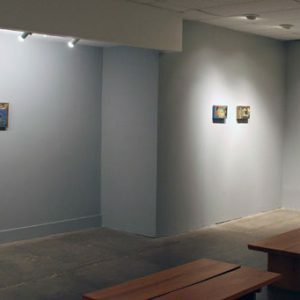 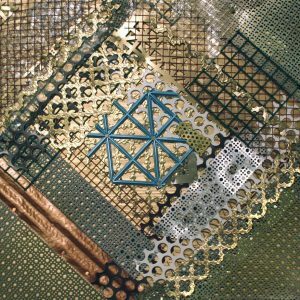 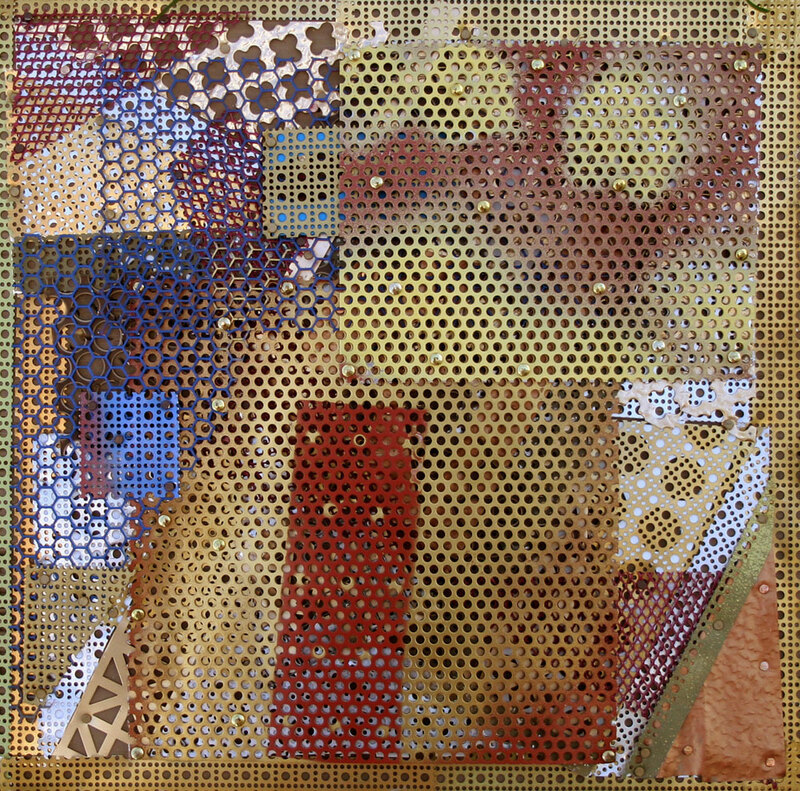 The constructions are 14″ x 14″ or smaller, and 34 works from this series were shown as a solo exhibition at Teeple Hanson Gallery in Fairfield, Iowa. 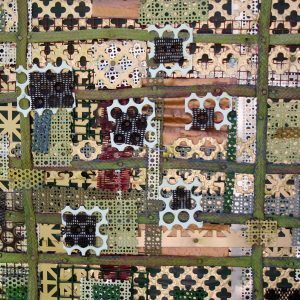 This project was made possible by a grant from the Iowa Arts Council.